British Prime Minister Theresa May vowed she would address human rights concerns in Hong Kong during her visit to China this week. May, who embarked on a three-day trip to China, spoke to reporters before she flew out, saying she would speak about the issues to Chinese President Xi Jinping on Thursday during their dinner. "We believe that the future of Hong Kong should be a 'one country, two systems' future and we are committed to that," May said. 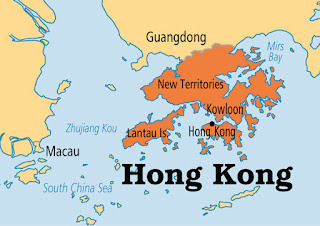 Long a British colony, Hong Kong was transferred to Chinese control in 1997. "I've raised this in the past with President Xi and he's shown commitment to that, but I will continue to raise it with him," May said. "That's the basis of the relationship, that we are able to raise those issues."